Jankovic and Kuznetsova advance despite 80 errors between them. Jelena Jankovic had to draw on all her resources as she squeezed into the second round of the US Open 6-4 4-6 7-5 against Simona Halep. Fourth seed Jankovic took an opening set containing seven breaks of serve, but her 18-year-old Romanian opponent took the tie into a decider by squaring the match by the same scoreline with an ace. Halep’s big forehand helped her to serve for the match at 5-4, but Jankovic rallied to square the match at 5-5 as her rival ran out of steam. The Serb then took the next two games to set up a clash with Croatian Mirjana Lucic, who defeated Alicia Molik in straight sets. Svetlana Kuznetsova reached the second round at the U.S. Open by getting past 39-year-old Kimiko Date Krumm 6-2, 4-6, 6-1 Tuesday. The 11th-seeded Kuznetsova hit 11 aces, helping make up for five double-faults and a total of 35 unforced errors. She won the 2004 U.S. Open and was the runner-up in 2007. She also won the 2009 French Open. Date Krumm, who turns 40 on Sept. 28, was trying to become the third-oldest woman to win a U.S. Open match in the Open era, which began in 1968. Hewitt and Gonzalez losses raise questions about their futures. Lleyton Hewitt crashed out of the US Open on the opening day as he suffered a five-set defeat against France’s Paul-Henri Mathieu. The Australian 32nd seed, who had never previously lost in the first round at Flushing Meadows, battled bravely as he fought back from two sets down to level the match but his opponent eventually prevailed 6-3 6-4 5-7 4-6 6-1. Afterwards Hewitt, the 2001 winner, dismissed talk of retirement and insists he can still compete at the highest level. The 29-year-old said: “I still believe I can improve as a player. Fernando Gonzalez has admitted fears over his long-term future in the game after injury forced him out in the first round of the US Open. The 30-year-old Chilean, playing only his second match since the French Open, retired when 7-6 1-6 0-1 down against Croatian qualifier Ivan Dodig. The persistent knee injury that has been troubling for the past few months was once again the nemesis of Gonzalez who acknowledged afterwards that he was concerned for his career. “I’m worried and I’ll have to see what will happen,” he declared. 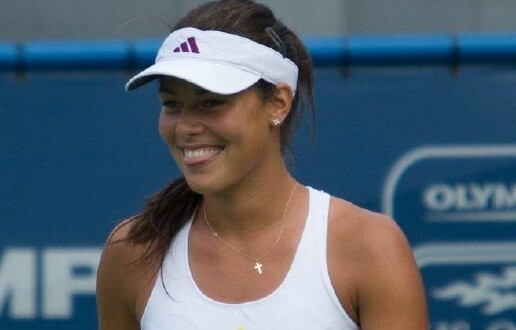 Ivanovic is thru with ease while Safina is ousted in round 1. Dinara Safina bowed out at the first round of the US Open after losing in straight sets to Daniela Hantuchova. Safina, who was top seed here last year, has been plagued by a back injury which has forced her to miss almost three months of the 2010 season – including Wimbledon – and is currently ranked 50th in the world. The struggling Russian fought hard but her 24th seeded opponent from Slovakia managed to progress with a 6-3 6-4 victory at Flushing Meadows. She will now meet Vania King, who came through her all-American clash against Christina McHale. Meanwhile another former world number one looking to climb back up the rankings, Serbia’s Ana Ivanovic, enjoyed a 6-3 6-2 win over Ekaterina Makarova. The 22-year-old topped the rankings heading into this event in 2008 having won the French Open earlier that same year, but is now ranked 40 following a dramatic slump in form. Ivanovic will now face China’s Jie Zheng in the next round after the 21st seed overcame Timea Bacsinszky of Switzerland 7-6 (7-0) 7-6 (7-1). Hurricane Earl is headed for the US Open on Friday and Saturday. Kim Clijsters was a straight-set opening-round winner Monday at the U.S. Open. The second-seeded former world No. 1 Clijsters got past Hungarian Greta Arn 6-0, 7-5 at the USTA Billie Jean King National Tennis Center. Clijsters steamrolled Arn in 18 minutes in the bagel first set, but the Belgian then fell behind 0-4 in the second before rebounding to avoid a three- set afternoon. Clijsters won seven of the last eight games to advance. The 27-year-old Clijsters is seeking her third U.S. Open championship, She beat Dane Caroline Wozniacki in last year’s finale here and has now won her last 15 matches in Flushing. She also titled here in 2005 and skipped the 2006-08 editions due to either injury or retirement. Clijsters came out of retirement last summer and captured the U.S. Open in only her third tournament back. Clijsters was also the U.S. Open runner-up in 2003. Sixth-seeded French Open champion Francesca Schiavone cruised with a 6-1, 6-0 dismantling of Japan’s Ayumi Morita, while former U.S. Open runner-up Elena Dementieva drubbed Belarusian Olga Govortsova 6-1, 6-2. Dementieva reached the final here in 2004. Other seeded victors on Day 1 were No. 28 Russian Alisa Kleybanova and No. 29 Ukrainian Alona Bondarenko. Last year’s U.S. Open darling, American Melanie Oudin, advanced with a 6-3, 6-0 throttling of Ukrainian Olga Savchuk. The teenage Oudin reached the quarterfinals here a year ago, including an upset victory over Dementieva. Additional Monday wins came for Italians Sara Errani and Maria Elena Camerin and Brit Elena Baltacha. The 2010 U.S. Open champion will earn at least $1.7 million. 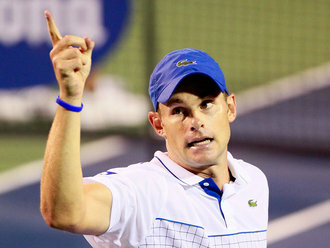 Birthday boy, Andy Roddick is facing an uphill battle. Andy Roddick celebrated his 28th birthday today, but admits time is running out for him to add to his sole Grand Slam title. Roddick won the US Open in 2003 but has been unable to break the dominance enjoyed by Roger Federer and Rafael Nadal since, losing three Wimbledon finals to Federer – most famously 16-14 in the fifth set of an epic contest last year. And asked about his sense of urgency to claim another of the sport’s four biggest titles, Roddick admitted: “It’s always there. Birthday or no birthday, you come in to try to win one. Ninth seed Roddick begins his campaign with the third match on the Arthur Ashe Stadium on Monday, taking on France’s Stephane Robert after fellow American Melanie Oudin faces Ukraine’s Olga Savchuk and defending champion Kim Clijsters plays Hungary’s Greta Arn. 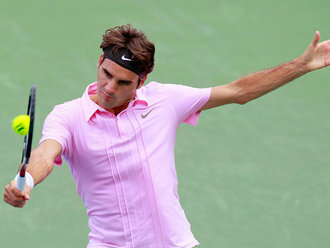 Roger Federer is the one to beat at the 2010 US Open! Roger Federer on Sunday warned his rivals he feels as good as ever as he bids for a sixth US Open title in seven years at Flushing Meadows. Federer has won just two tournaments this year, losing his world number one ranking to Rafael Nadal and crashing out of Wimbledon in the quarter-finals to Tomas Berdych, the six-time champion’s earliest exit at the All England Club since 2002. The Swiss star took a six-week break after Wimbledon, returning to the tour in Toronto where he lost to Britain’s Andy Murray in the final, but bounced back with victory in Cincinnati the following week. And the 29-year-old clearly feels reports of his demise have been greatly exaggerated as he begins his campaign for a 17th Grand Slam title against Argentina’s Brian Dabul on Monday. “Mentally I’m very fresh,” said Federer, who was just two points away from a sixth straight title before losing to Argentina’s Juan Martin Del Potro in last year’s final. “I didn’t play fir six weeks after Wimbledon, I had a good vacation, spent some time in Switzerland with friends and family. From the mental side I have no problems whatsoever. “Physically I feel the same thing. I feel as good as I can feel prior to a Grand Slam. I have no niggling injuries, no pain anywhere. “In Toronto I really had a lot of muscle pain, my arm, my wrist, my chest, my shoulder. Coming back right off the bat after six weeks and playing such tough matches early on was tough on the body. Asked about the perception that his powers are on the wane, Federer added: “I was winning one or two Slams a year and I was on the downslide so you can’t really take it too serious really, to be quite honest. “You can’t win 12 tournaments every season. That’s clear to me. I spoiled myself by playing so well and you just prepare for the times when it’s not winning 12 a season. If it’s two or four or six it’s still a good season depending on how you’re feeling, how you’re evolving as a player. I was always making sure I tried to get better. Top juniors among US Open successful qualifiers. On the men’s side, No. 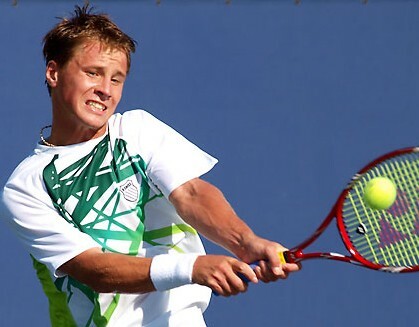 9 seed and 2007 US Open Boys’ Champion Ricardas Berankis of Lithuania qualified for his first US Open main draw, defeating American Kevin Kim, 6-1, 6-3. Also qualifying Saturday was women’s No. 1 seed Akgul Amanmuradova if Uzbekistan, as well as No. 3 Monica Niculescu of Romania and No. 17 seed Nuria Llagostera Vivies of Spain, who held off teenager Laura Robson of Great Britain in three sets to reach the main draw. Among the seeded players, Maria Elena Camerin of Italy also qualified, defeating No. 11 seed Patricia Mayer of Austria, No. 12 Zuzana Kucova of Slovakia advanced, and Tamira Paszek upset No. 6 seed Evgeniya Rodina. Robert Kendrick and Irina Falconi both qualified for the 2010 US Open on the last day of the qualifying tournament, with each bringing very different backgrounds into the tournament. Kendrick, 30, is a veteran on the ATP Tour and will now play in his sixth US Open main draw. Falconi, 20, on the other hand, is a new professional player after two years as an All-American at Georgia Tech, and this will be her Grand Slam tournament debut. Kendrick and Falconi are two of the 32 players (16 men and 16 women) who qualified for the 2010 Open between Friday and Saturday. The two Americans finished their third-round matches Saturday, with Kendrick defeating Tatsuma Ito of Japan, 6-3, 6-3, and Falconi defeating No. 25 seed Stephanie Dubois of Canada, 6-3, 6-1. Kendrick, ranked No. 147 in the world, is thrilled to compete again in the main draw. He lost in the second round of the main draw last year to Tommy Haas. “Every time is special,” he said of playing in the US Open. “It’s so hard to get into this tournament. These guys are just so good in qualifying. Falconi, who lived in New York City from age three until 14, was an All-American and the Atlantic Coast Conference Player of the Year in both of her seasons at Georgia Tech. Also qualifying was No. 24 Kei Nishikori of Japan, who defeated Frank Dancevic of Canada, 6-4, 6-1. This will be Nishikori’s second US Open main draw. He last played the main draw in 2008, when he advanced to the fourth round. Julio Silva of Brazil also qualified, defeating Wimbledon marathon man Nicolas Mahut of France, 6-4, 3-6, 6-3. Mahut lost the longest match in tennis history to John Isner in the first round at Wimbledon this year, falling 70-68 in the fifth set. Also, among the seeds, Milos Raonic of Canada upset No. 8 David Guez of France, 7-5, 6-4, and No. 23 Ivan Dodig of Croatia advanced over Noam Okun of Israel. A tasteful appreciation of some of our favourite ladies. A moment of beauty before the violence of the US Open begins, caught on video by the New York Times team of Dewey Hicks, Todd Heater, and Pamela Chen. Stakhovsky wins the title and the fans in New Haven. Sergiy Stakhovsky prevailed in Saturday night’s final to win the ATP Pilot Pen in New Haven. 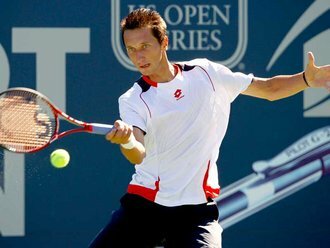 Stakhovsky continued his record of having won every ATP Tour event he has got the to semi-finals of as he beat Denis Istomin 3-6 6-3 6-4. The ATP has discovered a ‘new’ entertainer in Stakhovsky. He shows a better selection of shots in one game than the likes of the big guns like Soderling, Querrey, Isner and Del Potro do in a complete match. He is pure pleasure to watch, and while he may not win a Grand Slam event, he brings a flair to tennis that has been missing for a while. I can’t wait to see him play against Radek Stepanik! Now that’ll be entertainment! Istomin, aiming to become the first player from Uzbekistan to win an ATP title, started well and comfortably took the first set. But Stakhovsky hit back to take the next two sets 6-3 6-4. 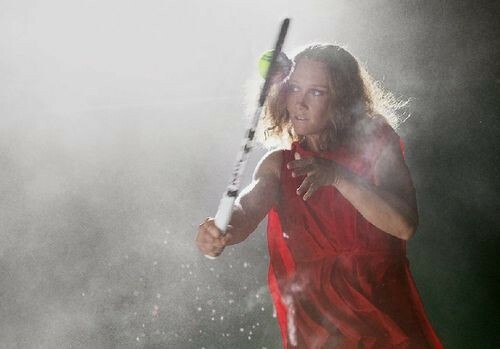 Wozniacki wins again!…..if she wins the US Open she’ll be the #1 player and earn a $1 million bonus! Caroline Wozniacki won her third consecutive Pilot Pen Tennis title Saturday by pulling out a three-set victory over Nadia Petrova. The world No. 2 Wozniacki took the 6-3, 3-6, 6-3 win over Petrova in a little more than two hours. Petrova fired 12 aces but committed six double-faults and was more inconsistent with her serve. Wozniacki, meanwhile, won 67 percent of first-serve points. The Dane has won two tournaments in a row, having taken the title in Montreal, and heads into the U.S. Open with a lot of momentum. Wozniacki, the U.S. Open runner-up in 2009, is the top seed for this year’s edition, which starts Monday in New York. Saturday’s title was the fourth of the year for Wozniacki and the 10th of her career. The eighth-seeded Petrova, meanwhile, was seeking her 10th championship and first since 2008. She fell to 1-3 lifetime against Wozniacki, and 0-3 this year. Wozniacki earned $98,500 for the victory in the $600,000 tune-up event.